Dogs are said to be man’s best friend. They are protective, reliable and loyal. Dogs love unconditionally and they are always there for the owner. Find out about my story with dogs, how and why they have changed my life and how they are connected with English. Hi, my name is Sylvia. I’m passionate about languages, English in particular. Welcome to my world, world of English. Hi everybody. This is our new meeting. This is Sylvia speaking. I guess you all know me because I have introduced myself a little bit. You know that I’m an English teacher, I’ve been teaching English, doing translations, I’ve been helping people develop linguistically, you know all of that about me but today I’d like to tell you something you don’t know, I’m sure. The title of this meeting today is The dog. I guess you are all very surprised because you do not have the slightest idea why this meeting is called the dog. And I’ll tell you why, I’ll explain. 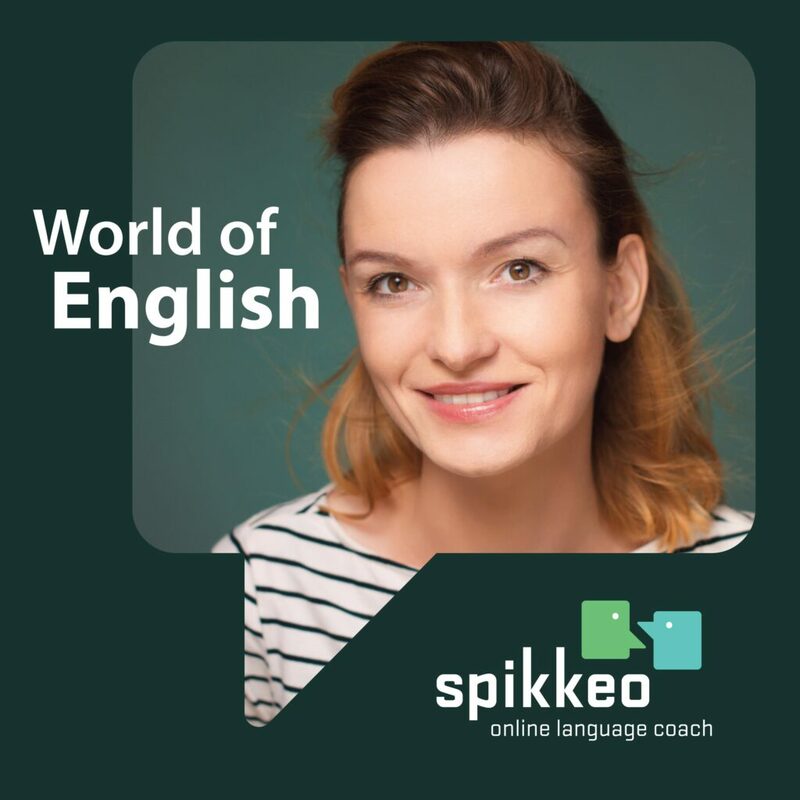 As I said at the very beginning, I’d like to share a little bit of my life with you, not only English because you know that I’ve experienced a lot of great adventures through teaching and learning English, and I have met some -very great people. I’ve met some very great students who give me a lot of satisfaction, their progress, how they are growing, how they are developing. But there are also some other things from my life that I am passionate about, so English and teaching English is the super first thing, but there is some other thing and it is called the dogs. I have always been afraid of dogs, like my whole life. In the past, when I was walking down the street and when I saw a dog, I just ran away like instantly, I had to cross the street, choose some other path, just go some other direction. When there was a dog barking, I immediately started to lose control. I started to shake, not to mention a dog, even the slightest one, the smallest one, when a dog wanted to come to me and play with me, oh God forbid, that was the worst thing of all. I don’t know why it has been like that. I guess it is connected with some episodes, with some incidents that happened in my life when I was a little girl. I remember it very vaguely. I remember that I was playing in the garden, botanical garden, I was picking up flowers, you know, this little girl having a great time and suddenly there was this big dog. The dog was all right. He wanted to play with me, but I was very little, I was very afraid. I was very surprised and of course I started crying, my parents came to me, picked up and started soothing me, like cheering me up, don’t worry, don’t worry, but I guess it was the time when I disliked dogs for the first time in my life and it has continued, or it continued, until some very moment, until some great event in my life. So, I guess I can divide my life into two parts – the being afraid of the dogs part and the non-being afraid of the dogs part. So, I lived just like that, afraid, scared of the dogs. There were people trying to make my attitude different, showing me different dogs and asking me to play with them but there was nobody who could tell me how to work with the dog, how to play with it because they did not have this special knowledge. And as I said, it has changed in my life because, and here comes the bomb, because right now I live with three wonderful dogs, with three girl dogs in my house and I cannot imagine my life without them. And here comes the question how it has all happened. Well, it just turned out one time in my life that I met some fantastic people, people who train dogs, people who know the psychology of dogs. They know how to live with them. They know, well, it seems very natural but actually, people seem to forget about it that dogs are not humans, and because they are not humans, they have to be treated in a different way. They do not need the same things we humans need. So, as I said, right now I have the three beautiful dogs living with me day by day, and of course, giving me a lot of pride and giving me a lot of smile, smile that I have on my face every day because they do so many funny and sweet things every day, as I said right now I just cannot imagine living without them because they make my life complete. They make my life full. I’d like to tell you a few stories, funny stories connected with the dogs. One of the first things that comes to my mind is cleaning beds. It is not some cryptonym for some very secret action, but it is just a thing that happened in my house. One day we decided, which is a very natural thing, we do it quite regularly, to clean their beds. So, they’ve got these special places where they can rest, where they can sleep, where they spend some time during the day and we had to clean their beds. So, we took their beds away from them and in their places, in the very places, where they usually sleep, we put some blankets. So, there was just the floor and the blanket. Of course, you all should have seen this, I mean their faces when they came into the room and they did not notice their own beds, they were so surprised and they were so shocked. They, like the first thing, they didn’t know what to do. Of course, they went to their places, in this respect, they went to their blankets, they stayed there but they were so sad in their faces, so sad, so devastated and they seemed to be saying what did you do with our beds?. Please bring them back. It lasted for a few minutes, half an hour, before we prepared their beds back. And one of the girls, as we call them, one of the dogs, she came into the other room because she saw that we were preparing their beds and she wanted to help us. She’s this helper, right. She loves to do different things around the house with us. She’s very interested in everyday activities. She’s just a great dog to be with, so whenever there is something going on in the garden, in the house, some cleaning, some repairing, some cooking, she’s the first one to help. So, she entered the room, she saw us preparing their beds, cleaning them and she started as usual to move around, to wag her tail, she was trying to touch the bed with her paw. And all of a sudden, when the bed was ready, she jumped into the bed smiling, really almost smiling, and she didn’t want to go away like she didn’t want to get out of this bed. I told her like please, you know, just wait outside, I’ll bring the bed back into your room and she did not leave. So I had to drag her, you know, I had to pull her on the bed into the room because she did not want to leave. And when she finally got the bed in the proper position, she stayed there the whole evening telling us right please don’t you ever do it again. The other story that happened recently because it is a story connected with summer, it is a summer story, is called grasshopper. I don’t know if you know what grasshoppers are, they are those little insects or maybe not so little that jump, right, they make these sudden moves. They can also produce some music if we can call it this this way. And I walked one of the dogs, we went for a walk. She was sniffing, right, just doing the regular activity. She entered some bushes and all of a sudden a grasshopper jumped out of the grass onto her, onto her fur and she also jumped when she saw the grasshopper because the grasshopper was super frightened. She wanted to play with it but the grasshopper did not want to play with her and just jumped away, right, in some other direction. They also, I mean they, like all of them, they also like to play with lizards. There are a lot of lizards around. Thanks God, they do not harm them. They just play with them. So it is a fantastic thing to watch. Today I told you about a few funny episodes, a few funny situations that happened with the dogs, but I also told you that the dogs are very sweet, right. So the sweet activities that they do is that one of them comes to say goodbye, and comes to say good night, before she goes to sleep. It happens every night. She just comes to the bed, she puts her head on the bed because she knows she’s not allowed to jump on the bed or to try to get into the bed. So she knows that’s not possible, but she just puts her head on the bed and waits for me to touch her, and to stroke her and when she gets the touches and the strokes then she’s happy, she’s content, then I say good night, and she goes to her place. talk about dogs in English and also the knowledge of English they get, they use because some of the great information, some of the great trainers of dogs come from abroad, so when we learn the language, we know how to use it in some other context, like for instance attending conferences about dogs, about their psychology, about their behavior, about their feeding, which is also very very important. And I guess this sharing the same passion like a teacher -myself and the student it is just a fantastic thing. It is a fantastic opportunity and it makes the lesson go smoother. It makes the lesson I guess, I hope more interesting but it also gives me this great feeling, this great passion and lesson by lesson, when I observe a person who is developing, and also who is able to talk about what they love, what they like best I mean dogs, it is a fantastic thing. So, I hope you now know me a little bit better and I hope you have understood at least a little bit this love, this passion that I have connected with dogs. And it has been proved many times that living with animals, with pets, well, I’ve got dogs, but I am also into cats, into all sorts of our pet friends and all sorts of animals that we can live with. Well, it has been proved that living with animals is simply better. I mean your life becomes richer, better, funnier, and here when I hear all the people who say that, of course having a dog is so difficult, it is a nightmare because they have to walk the dog early in the morning and you can’t forget about it, and late at night. Well, of course, it is like that that having a dog is this great responsibility but what a dog gives you back it is just more right, it weighs more than this responsibility. You become a complete person, right, a fuller person, a richer person inside, and the smile that I have, right, I look at the dogs, I look at them wagging their tails, right, making these funny faces. I look at them every day and I am happy because of this every day and they, the dogs, they wait for me to come back home and they are always happy, right, like when you enter the house and there is a dog inside, the dog is always happy that you are back and that you will spend some time with him or her, right, so if that’s a boy or a girl. So, if you are thinking perhaps about buying a dog, of course, you have to think carefully because there is a lot of responsibility but as I said, as I said before the passion right, the pleasure, the smile, the happiness that you get it is something that makes the responsibility seem very little in comparison. It is a wonderful thing to share your life with a pet friend. So, if you would like to have one or maybe you have, right, some dogs or some cats I’m sure you’re smiling here too because you know why I’m so passionate about the dogs. I’m very happy, I’m all very happy that you have joined me today. I hope you will join me the next time and I will try and share a little bit of some other news and some other information about myself. Of course, there will always be this thing about English, right, cause that’s the passion here, but I will just try to introduce myself and make you get to know me a little bit better.